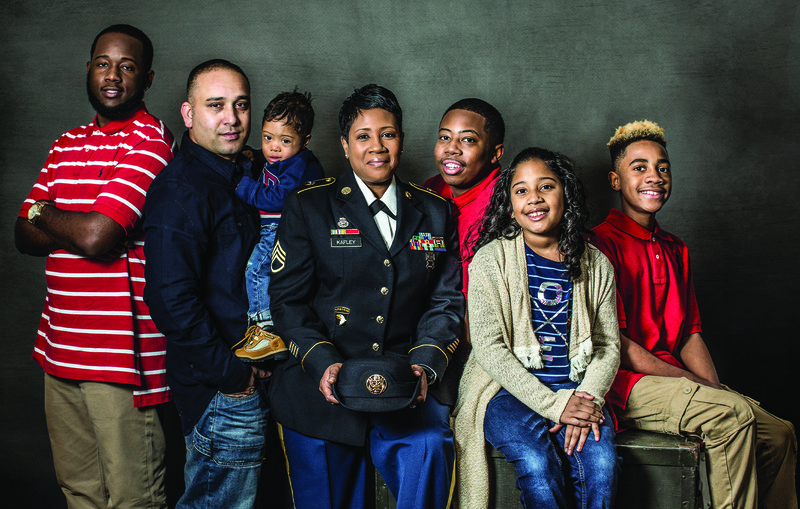 As a military family member, you’re probably familiar with military life insurance, such as the Servicemembers’ Group Life Insurance (SGLI) and Family Servicemembers’ Group Life Insurance (FSGLI). You also most likely depend on the Military Health System and/or TRICARE for your health care needs. However, military families sometimes face unique scenarios specific to military life, such as frequent travel and relocation, and your family may need some of these commonly used insurance products along the way. Even the most prepared military family will run into Murphy’s Law when attempting to plan family vacations or last-minute getaways. Change is the only constant in military life, and plans can get derailed at the drop of a hat when it comes to the needs of the military. PCS orders get revoked, deployment return dates change constantly, and short-fused TDY assignments can appear out of nowhere at times. It’s enough to give up on the idea of a family vacation before the planning phase even gets off the ground! But instead of being fearful of even scheduling a trip, you may want to consider travel insurance. Travel insurance is a financial protection that will typically cover trip cancellations due to illness, injury, or accidents when you’re on your way to the airport. Some policies cover travel delays, as well. But what about military-related trip cancellations? Not every company or protection package covers military-related cancellations, so it’s important to read the fine print in the policy before you purchase it. Even if you find a “cancel for any reason” policy, the fine print may still have some caveats that might impact your military family. Bottom line: contact the travel agent or insurance representative for information specific to your situation. 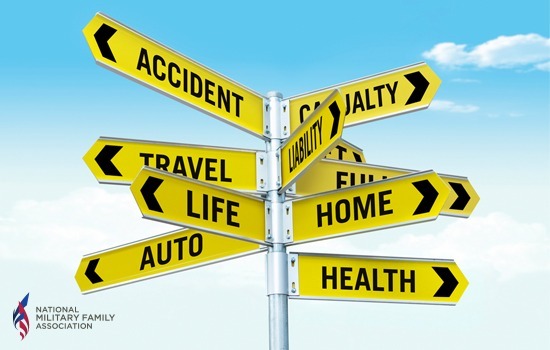 If it provides your family peace of mind and financial protection, travel insurance would be a sound investment. When tragedy strikes due to fire or theft, most people believe their homeowners and/or renters insurance will cover the lost or damaged items. For the most part, this is true, but it may not provide the fullest coverage needed. This is where an add-on policy for personal property or valuable personal property would come in handy. Your renters or homeowners insurance usually has a per-item cap of how much the insurance company will pay out if something happens to your belongings. Policy premiums will differ based on many variables. Let’s say your renters insurance has a $1,000 per-item cap. If something happens to your $4,000 wedding ring, your renters insurance is only going to pay you $1,000 for it. That means you’re out the remaining $3,000. Purchasing additional coverage allows you to protect the items you specifically list in the policy at a much higher value. It can also provide an additional buffer of protection if your valuable items are damaged, lost, or stolen during a PCS move. You’ll need to check your policy and contact your insurance provider, but it’s at least worth exploring if you own valuable property you wish to protect as you travel around the world. You may not need flood insurance at your current duty station, but your family could receive orders smack-dab in the middle of hurricane alley. If your family receives orders to a flood prone area, you’ll most likely need flood insurance. This is in addition to homeowners or renters insurance, since those policies don’t typically cover hurricanes and/or flooding. If your family plans to buy a house located in a flood prone area using a VA Home Loan, flood insurance is mandatory prior to closing on your new home. The good news though. The National Flood Insurance Program (NFIP) is available in some of these areas at a fixed rate and will cover your property and its contents. You’ll need to contact your insurance carrier to find out if the area you’ll be moving to participates in the NFIP. You can only purchase this flood policy through an insurance agent, but if yours doesn’t offer it you can contact the NFIP call center at (888) 379-9531 for a referral. For many people, owning a pet can be one of the most rewarding experiences they have. For military families, a fur-baby can create a foundation in a life of constant change. So why not protect them with insurance in the same way we protect our human family members? Pet insurance is a lot like health insurance for humans. It can pay for veterinary check-ups, shots, or treatment when your furry friend gets injured or sick. Some pet insurance policies will pay only for major medical issues. However, there are policies available that will reimburse you for boarding kennel fees, vacation cancellation if your pet is injured or ill, or even help with advertising and rewards if your pet is lost or stolen! Not all pet insurance policies are created equal, so do your research to figure out which policy will best meet the needs of your pet (and wallet). When you’re comparing quotes, be sure to ask if they offer a military discount. Most companies won’t advertise it, but many offer them. For example, USAA’s partnership with Embrace Pet Insurance offers a combined total of 15 percent savings when purchasing a pet insurance policy. Tuition refund insurance, also known as tuition insurance, provides coverage when a student is forced to withdraw from college for medical or other reasons. If you have to drop a class due to reasons beyond your control, you may be eligible for a refund. The tuition refund percentage you’d rate (from 10-100 percent) would depend entirely on what plan you’re eligible for. Most of the tuition insurance programs available provide coverage for course withdrawals due to illness, injury, death of a parent, or death of the student. However, some programs offer coverage for involuntary job loss or relocation. Military spouses already know the challenges associated with trying to pursue an education while on the move. Tuition insurance may be able to help provide a buffer of reprieve if you’re forced to drop from a class due to a pending PCS move. Only one company, GradGuard Tuition Insurance, offers a group policy for tuition coverage. If you’re concerned about having to drop a class mid-semester, now or in the future, you may want to consider contacting one of these companies and seeing if the investment of tuition insurance is worth it for you. Be sure to ask them if they offer full or partial coverage, or if there are any exclusions you might fall under.